To celebrate this spooky time of the year, create a Halloween scene in RCT3 in the form of a postcard. It can be theme park related, or simply a landscape or scene that best captures the Halloween spirit. You may use Photoshop or any image editing software to add a title or border, add spooky effects, or anything else. Submit your entries in this thread beginning October 1st through October 15th. Winners will be chosen by community vote via a poll that will be up from Oct. 16th - Oct. 21st. Winners will be announced on the 22nd, and displayed on the SGW front page as well as SGW social media pages. Members aren't limited to only one entry. A maximum of two entries per member will be accepted in the RCT3 competition. You may also enter the Planet Coaster version of the competition, which is posted on the PC Community Board. There will be a separate vote to choose the Planet Coaster winner. You may also enter up to 2 entries in that competition in addition to the RCT3 competition. Feel free to post any questions you may have here. The entry cannot be a screenshot from an existing theme park you've made in the past. It must be an original creation. The deadline is Oct 15th. Anyone who has submitted an entry that does not meet these specifications is welcome to re-submit an entry. All entries that do not meet these specifications will be disqualified. The details and rules have now been announced in the 1st post of this thread. Is anyone planning on entering this? The deadline is Oct. 15th, but you can submit entries any time from now until then. I've removed this image and replaced it with a similar one below. The old postcard used a screenshot from my old, existing Imaginarium park; which I now know is not allowed. 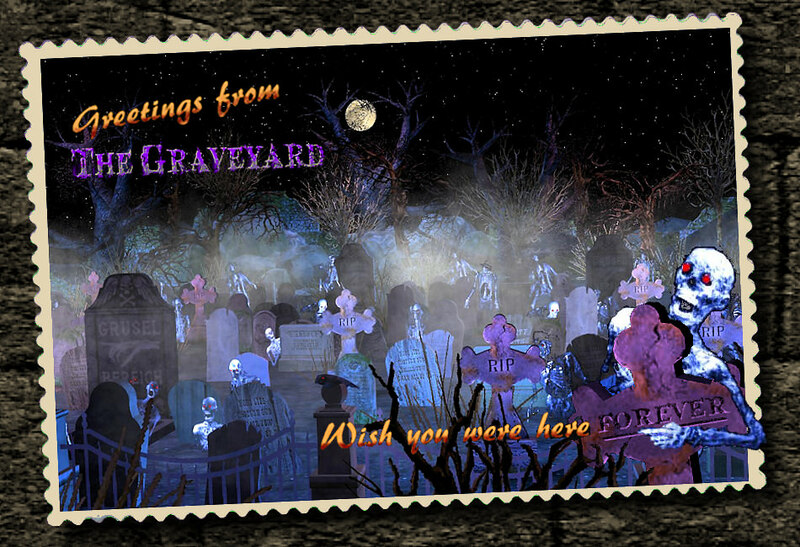 The new postcard uses an all new, all original graveyard scene. Just gotta get crafty first . Figured this is a great place to ask as it's a Halloween-themed thread. I'm trying to find the CS that included some creepy looking baby strollers. Anyone remember which CS included that? So far we only have one entry. You still have time to enter as the deadline isn't until Oct 15th. I've had to make a clarification of the rules because the the majority of the PC entrants were simply posting screenshots from old parks and slapping a caption on it. That type of entry will not be accepted. So will I be able to use an existing park, but just an "exclusive" shot? No screenshots from existing parks! Well, I guess I can get real crafty on this one. CUE THE EVIL LAUGH! I feel really bad that I didn't do this yet. Being out of town kills any open time you have. I will do my best to put something together this weekend. Just 2 more days to get your entries in before the Oct 15th Midnight deadline. Love your spooky creations, JB and cody. 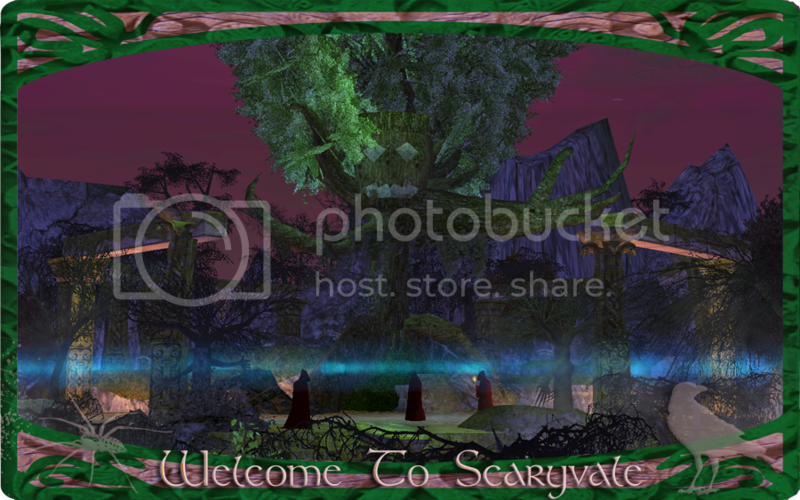 ^ I like how your 'organic' border compliments the Ent-like tree creature. It's nice to see you posting again, Elizabeth. I think you went 'on hiatus' before I registered here in June. But I've been a lurker here for years and I've followed your contributions to RCT3 and the SGW community. cody- Speaking of borders, I like the endless omnimovers on your card. And of course, the well wishes of 'Little Leota'. Miss seeing you around Elizabeth! Thanks so much, guys! I hope we get a few more entries before the deadline. The poll is up. You have until Oct. 21 to choose your favorite Halloween postcard. Thanks JB! The omnimovers were created my senior year of high school in 2016 using Adobe Illustrator for a project, and I wanted to get crafty/spooky with the border. The omnimovers were seen in a poster showcasing the many vehicles within WDW, and I tried to recreate it. Good job on yours and you too Elizabeth! Only 8 votes so far. Come on, we need more votes. Remember, guests can vote too! Congrats to JB for winning the SGW Halloween Competition. It was a tight race as you can see by the results. Congratulations, JB! Your postcard is brilliant, both the RCT3 content and presentation. Happy Halloween season! Yay JB! Good job and way to represent this part of the community! Good job to you as well Elizabeth, it was a real tight competition.